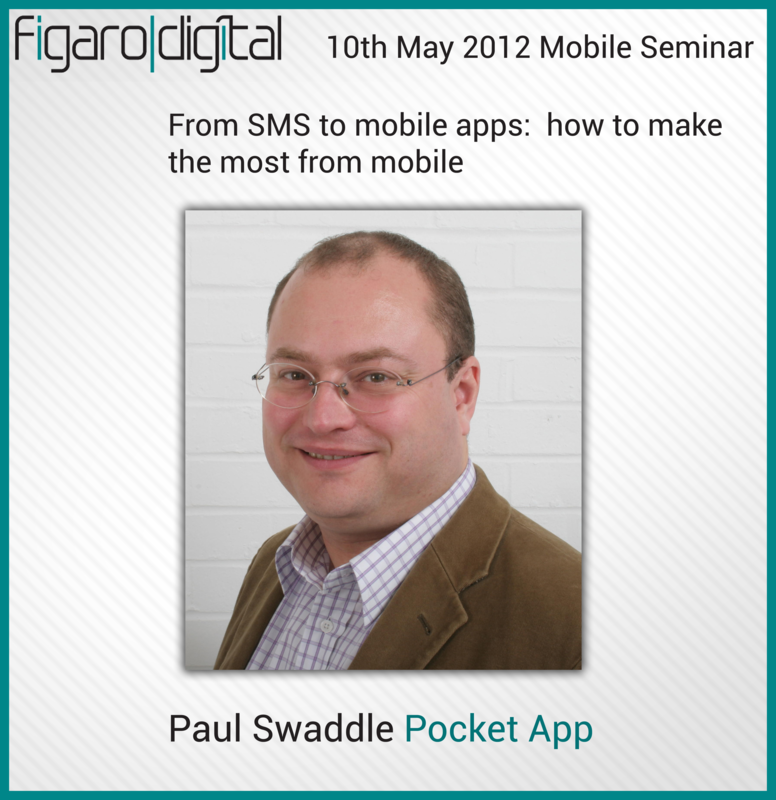 On the 10th of May Pocket App’s CEO Paul Swaddle will have the pleasure to be a guest speaker at Figaro Digital’s Mobile Seminar. Paul will share his insights and provide invaluable information on the topic of mobile apps. Including a whistle stop tour of the mobile tools available for brands and enterprises. How to use the tools, when and why to use them, and what makes a campaign or mobile solution great including how to make a great mobile app. Figaro’s seminars are tailored to the needs of senior digital decision-makers and brand-side clients actively seeking new agency partners and technology providers. By attending this seminar you’ll have the opportunity to hear expert insight from those working across the mobile industry and to put your own questions to each of our speakers. If you would like to attend the presentations and follow up with networking and drinks, please visit the following site to register your attendance.